It’s a complex puzzle. But your brain definitely responds in very complex ways when you spot some food. Food marketers know this at a practical level. They spend their lives figuring out ways to make you respond to images of their products. Neuroscientists are figuring it out at a more basic level. Functional MRI images are helping. With those images, scientists can watch different parts of your brain responding to different types of food cues. Food PS may be processed in a region that has been previously implicated in motivation and cognitive control, whereas ED may be processed in regions that are involved in reward and emotion processing. All of this intricate mental processing occurs outside of the thoughts that might have been sparking your brain before that food came into view. But food is survival. And when it shows up, the more primitive parts of your brain take over to size up the opportunity. In a companion editorial, Martin Binks, Chanaka Nadeeshan Kahathuduwa, and Tyler Davis tell us we have much yet to learn. Ingestive behavior is determined by a complex interaction between neurophysiologic and behavioral and environmental contributors that begins early in life. Overly simplistic approaches may miss salient aspects of the food experience that influence neurophysiologic reactions to food stimuli. If all is working well, your body tells your brain when you need a meal. Then your brain scans the environment to make sure you don’t get distracted and miss it. But when the process goes awry, food becomes the distraction. The process breaks down and obesity takes root. Neuroscience is providing clues to the intricacy of these processes. 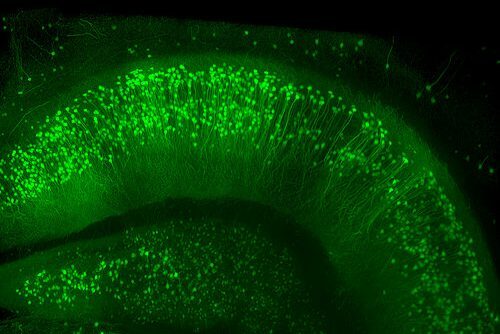 It’s much, much more than pretty pictures of brains lighting up. Click here for the study of brain activation in children. You can find the commentary by Binks et al here. yup – people are different, brains are different, foods are different, and the energy regulatory system is complex.